Late 19c French drum clock. 8 day movement striking on a bell and with cylinder escapement. Porcelain dial. Fully restored with one years guarantee. Ref: g6210. Maker Fabrique d'Ebauches de Sonceboz. Jaeger Le Coultre Atmos clock. Comes with original documents and packaging. Fully restored with one years guarantee. Ref: p0525. 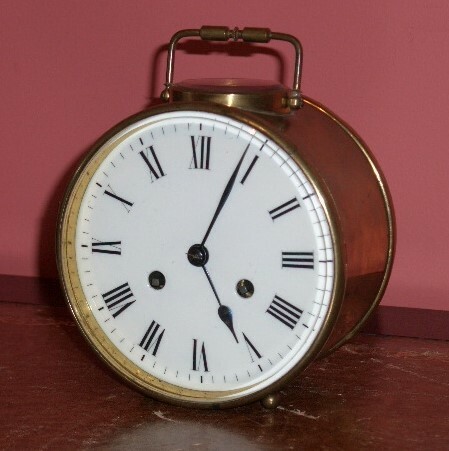 Edwardian mantel clock – SOLD.